The Sai is another weapon from Okinawa. Sai is excellent to start with because the basic movement of Sai resemble Karate a lot. I would like to introduce you to this weapon by demonstrating the most basic as well as specific characteristics, which are the way to hold and the way to flip the Sai. 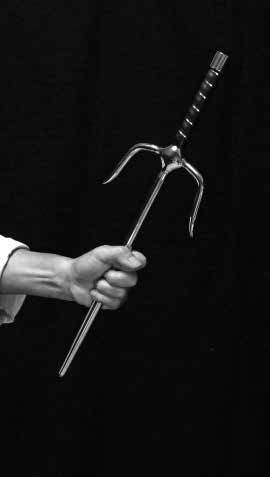 Believe me, all classical Kobudo Kata are like Kushanku. Here's the first Sai Kata that I learned from Yokoyama Kancho. 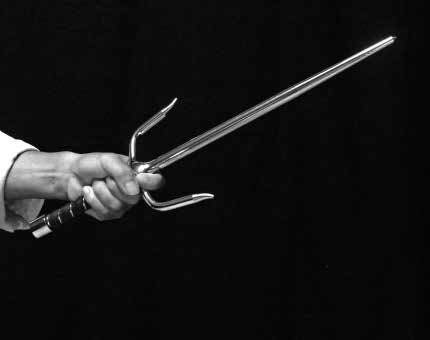 There are several ways to hold the Sai. Together they create total knowledge - all that Sai can teach you. Only then you can use it’s full potential. Especially with Sai, feel the momentum when you strike - as if you throw it away and catch it. Don’t push it away, feeling resistance. Feelingwise, become stronger. 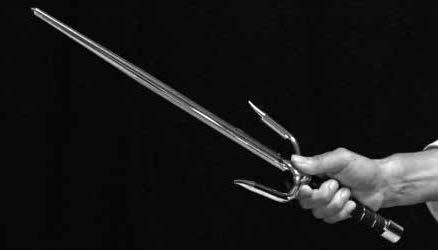 Faster.Sai should be helping you - enhancing your empty hand strike. 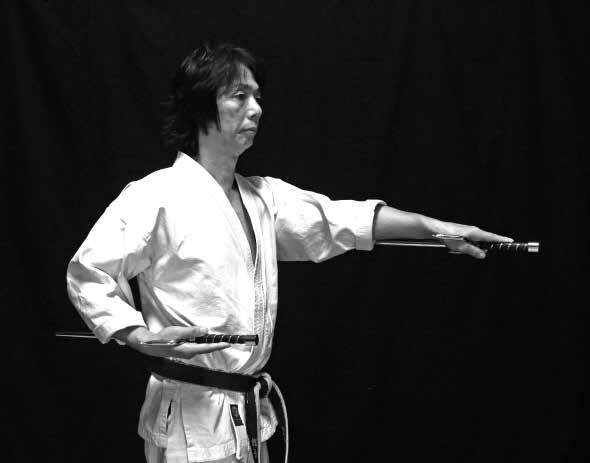 The following three methods are used to execute basic movements such as Uke, Tsuki and Uchi.